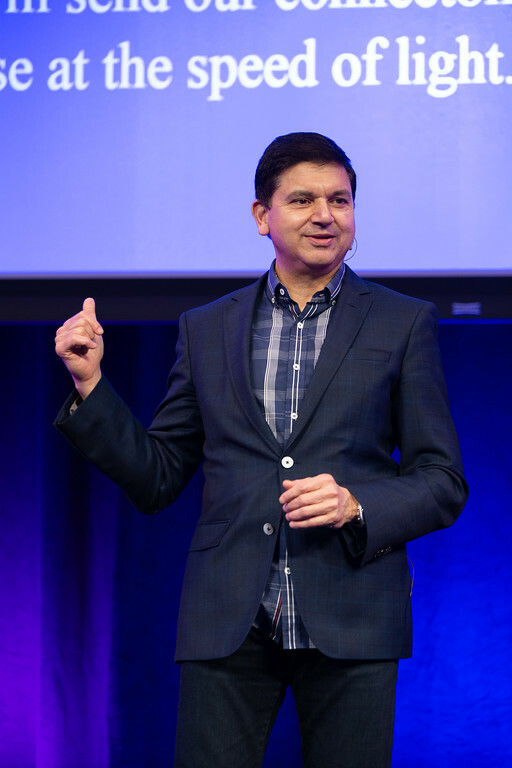 At the FWD:DFW Summit, powered by Capital One, 500 leaders across DFW convened to discuss innovations in AI and machine learning, and what the future holds for Revolution 4.0 – a world where humans and machines work together to create new products, services and unbelievable customer experiences. Our country has been transformed by three revolutions: The first Industrial Revolution (Mechanization) began in the late 18th century. Using water and steam power, new forms of manufacturing emerged. This gave way to the second Industrial Revolution (Mass Production) in the late 19th century. Enabled by electricity, assembly lines dramatically increased output. Beginning in the mid-20th century, we experienced the third Industrial Revolution (Digital), marked by automation through software, electronics and technology. In each of these revolutions, industries and lives were changed in magnificent ways. Now we are in the midst of arguably the most significant revolution in history – Revolution 4.0, or the Artificial Intelligence (AI) Revolution. The pace of change that companies face today, from startups to established corporations, is unlike anything we’ve seen before. Companies are navigating a brand-new world: numerous technological choices, critical new skills, vast data needs and high customer expectations for products and services provided in real-time and integrated into their daily lives. What better time in history to bring together the forward-thinking leaders of our city and innovate for the future? This was the thinking behind the FWD:DFW Summit, powered by Capital One. Leaders across Dallas-Fort Worth (DFW) convened to discuss innovations in AI and machine learning, and what the future holds. Approximately 500 attendees representing more than 200 companies heard from notable speakers like Sam Charrington, founder of the podcast, “This Week in AI & Machine Learning,” who shared insights on how AI is drastically changing how businesses operate and people live. Pindar Van Arman, an artist and roboticist, showcased computational creativity by designing a portrait-painting robot, and Dr. Michio Kaku, a physicist, futurist, bestselling author and self-proclaimed “popularizer of science” painted a bold and exciting picture of the future and how advances in technology will catalyze progress. 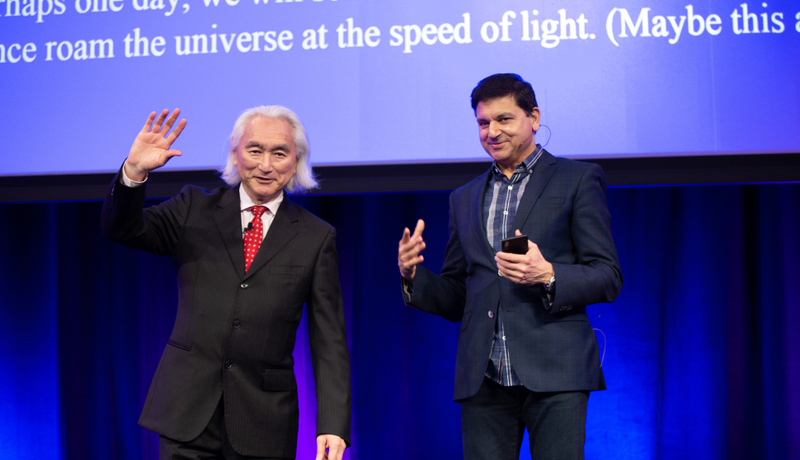 Much of Dr. Kaku’s presentation aligned closely to my own beliefs, namely, that the future belongs to intellectual capitalists – those who do what robots cannot, and are able to leverage the skills only humans possess, such as creativity, leadership and innovation. It’s why I lean toward a future that is not about Artificial Intelligence, but Augmented Intelligence, where humans and machines work together to create new products, services and unbelievable customer experiences. I believe DFW can be a hub for this type of groundbreaking innovation, and as business leaders “Make the Jump” to Revolution 4.0, we can also help our community partners do the same. I’m proud of the way in which Capital One is taking a stand to help communities – including DFW – get ready for tomorrow, today. Through our Future Edge initiative, we’re helping to train up our the next generation of intellectual capitalists with the skills, tools and resources they need to succeed in an ever-changing, digitally-driven economy. If you consider yourself an intellectual capitalist, I invite you to join us for our next FWD:DFW Summit, coming up in October. Together, we can dream up new innovations and ensure DFW is a thriving technology hub that nurtures the leaders of tomorrow. Email [email protected] to receive more details.